David Coulthard was clearly the fastest driver all weekend - he took pole by eight tenths, led the opening laps, dropped to third with a throttle issue and then made his way back up to first. However, no sooner as he’d taken the top spot his car failed completely, leaving Damon Hill to cruise to victory ahead of Jean Alesi, with a surprisingly off-colour Michael Schumacher a distant third. Mika Hakkinen led much of the race from pole with Michael Schumacher a few seconds behind. Schumacher ran a longer middle stint than Hakkinen, though, and made use of his light fuel load to jump ahead of Hakkinen during the second round of pit stops. 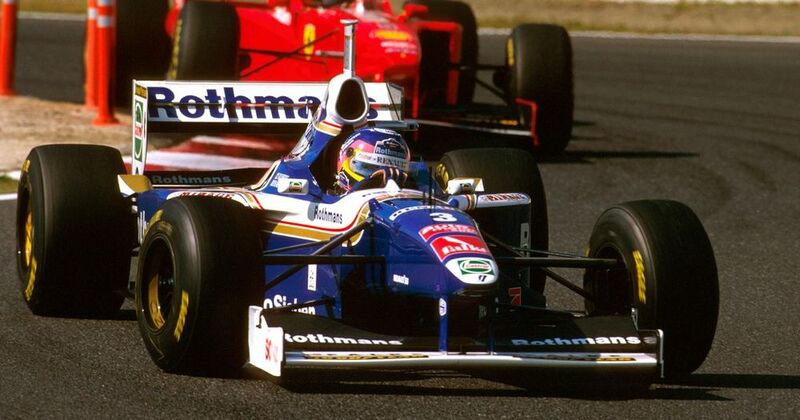 He took his third win in a row with Hakkinen close behind - David Coulthard and Rubens Barrichello finished third and fourth, but a long way behind their battling teammates. As Lewis Hamilton cruised to a serene victory, behind him there was all sorts of excitement in a race which started off damp. 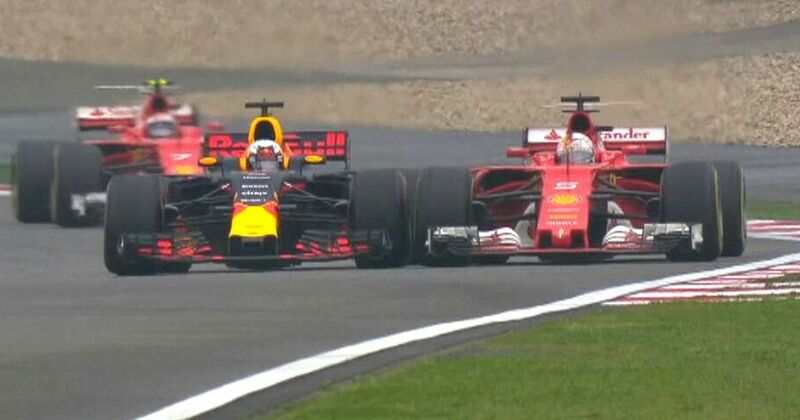 Sebastian Vettel, who was coming through the field after an early stop, pulled off a superb move on Daniel Ricciardo which resulted in a puff of tyre smoke as the two banged wheels - after the race Ricciardo said “I’d be lying if I said it wasn’t intentional” and that he did it because he was “a bit bored”. Red Bull teammate Max Verstappen put on a proper burn from the stern - he started 16th after an issue in qualifying but made up nine positions on the opening lap and eventually ended up finishing third, ahead of Ricciardo. 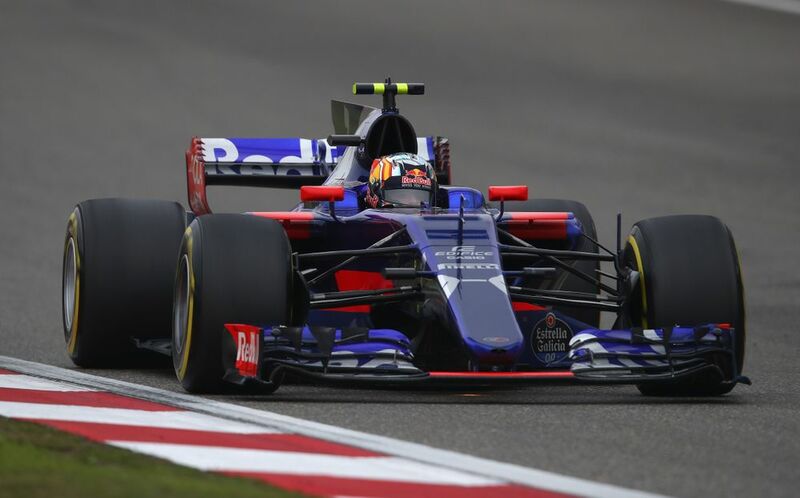 Carlos Sainz pulled off a similar feat for Toro Rosso - he gambled on starting on slicks and despite an off on the opening lap was able to recover to finish ‘best-of-the-rest’ in seventh. The first three years of Jacques Villeneuve’s (born 1971) career weren’t entirely dissimilar to Lewis Hamilton’s. Race wins and a championship challenge in his debut year, winning the title in a dramatic season finale in his second, and then an impossible title defence in a difficult car. However, while Hamilton went onto greatness, Villeneuve’s career went downhill. He was convinced to join the new BAR team which doomed him to years in the midfield - even though he repeatedly put in stunning performances, it wasn’t enough to overcome the shortcomings of the car or the team. Perhaps understandably, his motivation seemed to wane and his performances slipped, and at the end of 2003 he finally left the team. He replaced Jarno Trulli at Renault for the final few races of 2004 before his career fizzled out with Sauber and BMW-Sauber, and he walked away from the sport completely mid-way through 2006. An Indy 500 winner and CART champion before his joined F1, his career was a case of what might have been (kinda like father Gilles, albeit in a far less tragic way). Known for his baggy overalls and outspoken manner, he’s more remembered these days as a mediocre midfielder and not the rapid, spectacular driver who drove his car like it was a go-kart and once tried to take Eau Rouge flat-out as a bet.